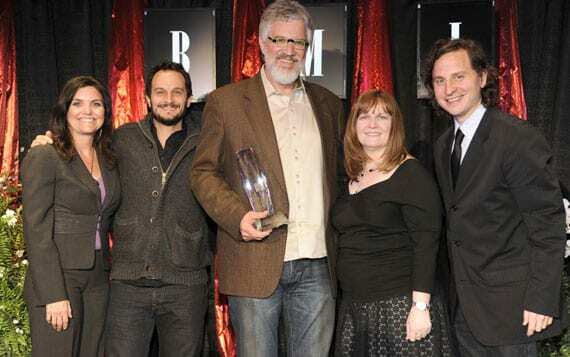 BMI saluted the writers and publishers of the past year’s most-performed songs on Christian radio and television during the annual Christian Music Awards, held last night (4/4) at the company’s Music Row offices in Nashville. Among the evening’s top honorees were Rodney Griffin, tobyMac, Needtobreathe’s Bo Rinehart, Scott Krippayne and Universal Music Publishing Group. 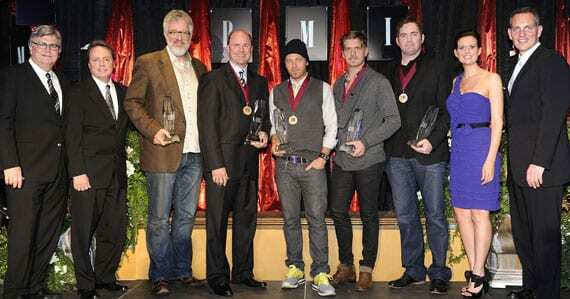 Genre-jumping star tobyMac shared his second consecutive Christian Songwriter of the Year crown with southern gospel favorite Rodney Griffin and pop-savvy rockers Needtobreathe’s Bo Rinehart. “What Faith Can Do” earned Christian Song of the Year honors for its creative team. Written by Scott Krippayne and published by Pirk Music, the song was recorded by alt-rock outfit Kutless. With five songs in the most-performed list, Universal Music Publishing Group was named Christian Publisher of the Year for the fourth consecutive year. The awards ceremony also saluted the late Christian music industry legend Don Butler with a special tribute. The evening was hosted by BMI Vice President, Writer/Publisher Relations, Nashville, Jody Williams, along with Senior Director Thomas Cain and Director Beth Laird, of BMI’s Nashville Writer/Publisher Relations Department. 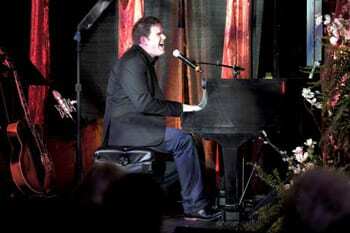 Guests and honorees also enjoyed performances by Triumphant Quartet and Sidewalk Prophets.